The Polisario Front issued a statement on Wednesday that 30 “Western Sahrawi” people perished on the ill-fated Algerian military plane that crashed near the Algerian capital. “The 30 Sahrawis on board were sick, and were accompanied by other members of their families, men, women and children, who were on their way back after treatment in Algerian hospitals,” the statement read. The Front has declared mourning for a week in memory of the victims. 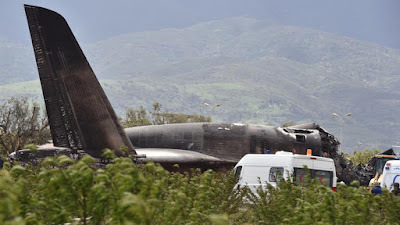 The crash occurred in Boufarik, a town in Blida Province, approximately 30 km from the capital Algiers. A total of 257 people were killed, most of them military, the defense ministry said. Ten crew and other people described as family members also died, and a number of survivors were being treated at an army hospital, the ministry added.